Whenever I hear Hans Zimmers' Day One in my play-list, I am unsurprisingly reminded of the movie Interstellar. More precisely, however, reminds me teaser trailer from a year earlier. If you have a moment, give it a watch (embedded video below). Chuck Yaegar breaking the sound barrier in the Bell X-1, Alan Shepard launching into space on the Freedom 7 Mercury rocket, the successful launch of the Gemini 6 (after failed previous attempts), the crew of Apollo 11 ascending the launchpad, the ultimate moon landing and Walter Cronkite emotionally reacting to it are among the cut footage of the clip. These great moments are contrasted with the final mission of Space Shuttle STS-135 and the idea that maybe we have lost our way. 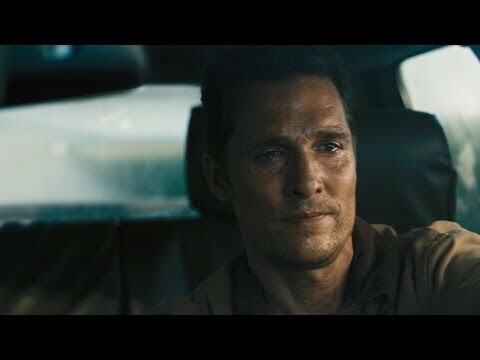 In pitch perfect delivery, Matthew McConaughey exhorts us, "Perhaps we have forgotten that we are still pioneers, that we have barely begun, and that our greatest accomplishments cannot be behind us, but our destiny lies above us." Think about that as you prepare for your work today.